I will rule the world! Here’s an adorable image from SLS Lines today combined with some gorgeous papers from Paper Temptress. This fun image is brand new in the SLS Lines store, so be sure and check him out. 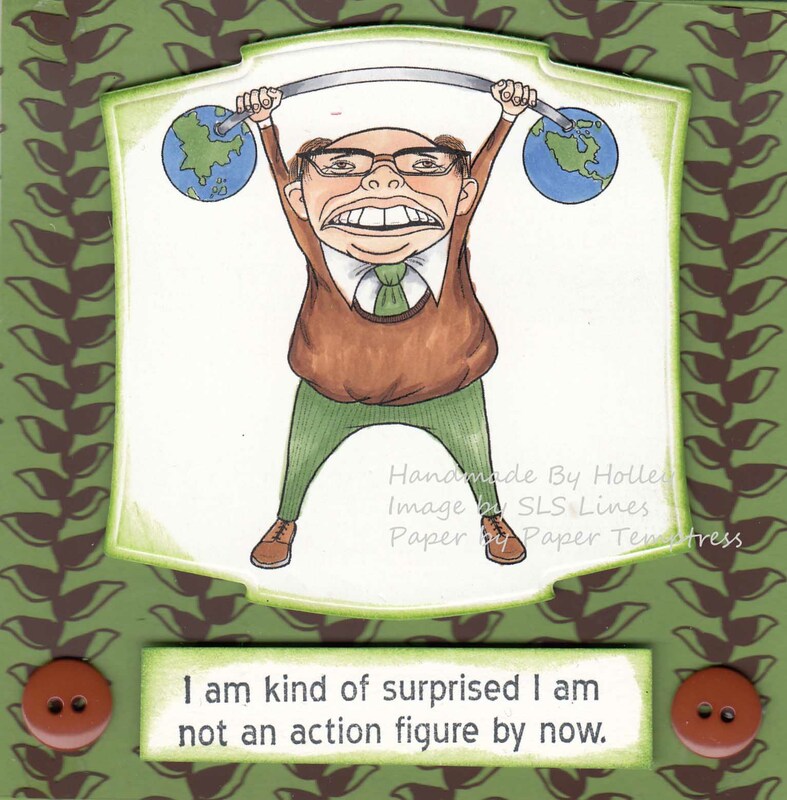 I added a hilarious sentiment from Riley’s stamps “I am kind of surprised I am not an action figure by now.” ha! I am using a wonderful combination of papers from Paper Temptress for this card. The base of the card is Pop tones Gumdrop Green; I then added a clear printed transparency from Hambly Studios. This Hambly Studious Overlay is called Brown Hanging Heliconias. 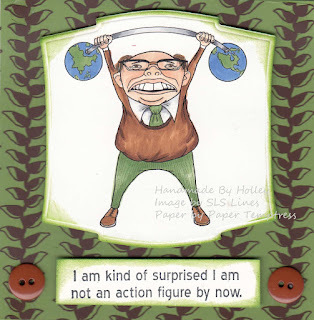 I printed out the image and stamped my sentiment on Neenah Solar White Classis Crest. To connect the Hambly Studios overlay to the paper card I used glue dots, but brads or eyelets would also be a great way to attach them.